This link will give you access to a list of commonly used library terms in multiple languages. Academic dishonesty may refer to cheating, dishonest conduct, plagiarism, and collusion in your academic work. Specific examples of these types of activity may include : misrepresenting others’ work as your own, such as not acknowledging any paraphrasing or quoting, use of another student’s material, incomplete acknowledgment of sources (including Internet sources), or submission of the same work to complete the requirements of more than one course. 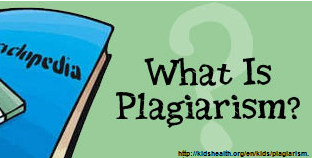 Plagiarism is using someone else’s words or ideas as if they were your own without giving credit to that person. It may be intentional or unintentional. For information on Avoiding Plagiarism in other languages, click on the respective documents below. This lib guide on Citation tools provides useful information on how to cite the sources you have used in your paper. You may access more Library tutorials by clicking on this link. These tutorials cover various library skills such as searching the library catalog and library databases and evaluating information on the web.